You and your family depend on your home for safety and comfort, but when the indoor air in your home is contaminated, it can become an unsafe place to be. At GLS Engineering, we understand how important the safety of your home is, so our professionals will always provide you with the most thorough and accurate mold testing and indoor air quality services possible. Mold and moisture problems are common in Charleston homes thanks to the high humidity levels we have in the area, and you can trust always our experts to provide you the best solutions to those problems. We've been working with both home and business owners in Charleston and the surrounding areas since 2003, providing many services to help them keep their homes as healthy as possible alongside regular HVAC services. Our goal is to provide our clients with the highest quality professional customer service possible to ensure that they're completely satisfied with all of our work. Our education, expertise, and real-world experience make us uniquely qualified to help you keep your home's indoor air as clean and healthy as possible at all times. Call us today with any questions you have about our mold testing services, or to schedule your appointment, and we'll be looking forward to working with you. 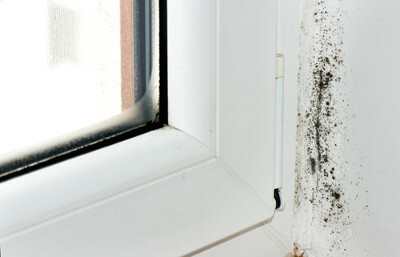 Mold can grow in any part of your home where moisture is allowed to accumulate. Often, mold is prevalent in homes for years before it is noticeable to the average homeowner, and most of the time, it's done a significant amount of damage by the time homeowners start to suspect a problem. Mold can cause damage to the structure of your Charleston home by causing wood to rot and decay, and if the damage is extensive, it can be very expensive and complicated to repair it. Aside from that, it can also have negative health effects on anyone in your household, and it may cause or trigger asthmatic or allergenic symptoms. These effects are most noticeable and most harmful to children and the elderly. Our professionals can help you find and eliminate any mold in your home by offering you thorough and accurate Charleston mold testing services. We use advanced equipment and procedures to pinpoint the exact location of mold in your home, even if it's hidden behind walls, wall paper, or away in any crevices of your home. You may have mold, mildew, fungus, or any other contaminants in your Charleston home's indoor air, or the humidity in your air may be causing problems. Our professionals can help you find the best ways to keep your home or business' indoor air clean and healthy at all times. If you are looking for a Charleston mold testing professional, call GLS Engineering at 843-881-4803, or fill out our online request form.